Strategic planning is an important focus of ALTA’s Board of Governors and its staff. It provides a sense of direction and outlines measurable goals. Strategic planning helps guide day-to-day decisions, and also helps when evaluating progress and changing approaches while moving forward. Different from traditional business planning, the strategic variety involves vision, mission and outside-of-the-box thinking. Each year, ALTA leadership sits down and examines what the association should focus on to help our members excel in a changing business and regulatory environment. To accomplish our mission, we advocate on behalf of our members and the industry’s interests, provide education and information to our members, offer networking opportunities, and create and promote professional industry standards. Our Values: Promote the “Our Values” program (We Lead. We Deliver. We Protect.) to strengthen company values and culture. Forum for Innovation: Serve as the hub for information on innovation in the title insurance and settlement industry. Information Security (Including Wire Transfer Fraud): Educate our members on security threats to their businesses in a cyber and physical environment. The Customer Experience (Consumer-focused Customer Experience): Provide tools through the Homebuyer Outreach Program (HOP) to help our members maintain a strong connection to the customer and put the industry in the best position to solve problems, bring innovative ideas forward and explain the benefit of title insurance to consumers. Talent Focus and Business Basics: Increase skills of the current industry workforce and enhance knowledge about the business of title and settlement among prospective employees. Best Practices: Maintain and improve ALTA’s “Title Insurance and Settlement Company Best Practices,” and promote the ALTA Registry as an industry utility to help confirm the identities of title insurance agents and real estate attorneys. These strategic priorities are the center of ALTA’s ability to provide a clear, consistent message for the industry. They will be my focus, and the focus of the members of the ALTA Board and ALTA staff in serving and assisting our association in the coming year. In his song, “Any Road,” former Beatle George Harrison wrote, “If you don’t know where you’re going, any road will take you there.” The Cheshire Cat shared a similar message in Alice in Wonderland. The point is that in business, clear goals and priorities matter. 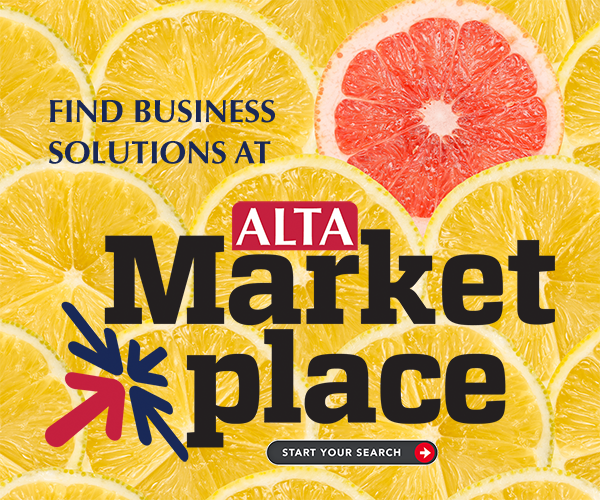 Over the course of 2018, you’ll see ALTA focused on delivering tools and resources to help you survive, thrive and be prepare for what’s next. We do know where we are going and the road to get there. Steven G. Day NTP is ALTA’s 2017-18 president.